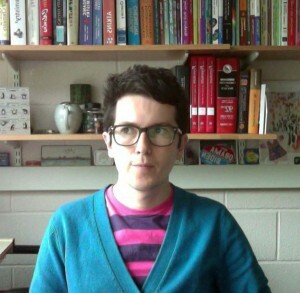 Dr. Aron Walsh is a Royal Society University Research Fellow in the Department of Chemistry at the University of Bath. He previously held a Marie Curie Fellowship at University College London and a postdoctoral fellowship at the National Renewable Energy Laboratory. His research concerns the application and development of computational chemistry techniques for modeling the solid-state. The current focus of the Walsh group is on the systematic design of materials enhanced for energy applications. 1. Which research projects are you working on at the moment? We are developing new sulfide materials for low-cost solar cells, designing oxide systems for transparent electronics, and optimising the electronic properties of metal-organic frameworks. To put materials modeling to the test, we are also working towards computer-controlled material synthesis. 2. What motivated you to focus on computational materials science? I have always had a fascination with computers. In the 80s I had my trusty ZX Spectrum, in the 90s I had a state-of-the-art Pentium60 PC. When I got to use the national supercomputer for my final year project in computational chemistry at Trinity College Dublin, there was no turning back. 3. What are the hot topics in materials chemistry at the moment? I predict big things for photoferroic materials, topological insulators and ion-conducting thermoelectrics. For solar cells, Cu2ZnSnS4 is the material of the moment with an explosion of research this year. 4. What current problem would you like to see science provide a solution to? 5. What do you find to be the most rewarding aspect of your career? Interacting with scientists around the world. My collaborations with chemists and physicists in America, China, Korea, Ireland and the UK provide me with endless stimulation, inspiration and support, as well as a good excuse to travel the globe. 6. What’s the secret to being a successful scientist? The majority of scientists have a passion for what they do, and put in long hours trying to achieve their research goals. The perception of success is largely to do with visibility, which increasingly combines a variety of media including journal articles, conferences, the internet and social-networking. There is no magic formula, but the Research Excellence Framework may disagree! 7. Which scientist past or present do you most admire? Gilbert N. Lewis was an exceptional physical chemist. He never won a Nobel Prize, which many would say led to his eventual death by hydrogen cyanide. His models for electron counting are still of great value to my work today, and his research was the stepping stone for Linus Pauling to provide his authoritative account of the nature of the chemical bond. 8. If you weren’t a scientist, what would you be? My dream at ten years old was to be an accountant. No doubt, I would have been paid more, but I would have missed out on a lot of fun. If you’re interested to learn more about research in the Walsh lab you can read a selection of papers below or check out their research pages on the group website. Don’t forget to keep up-to-date with all the latest research you can sign-up for the Journal of Materials Chemistry RSS feed or Table of contents alert. To keep up with the journal news you can Like us on Facebook or Follow us on Twitter. prof premraj pushpakaran writes– 2016 marks the one hundred years of “electron pair bond” introduced by G.N. Lewis !! !